Book this Amazing Maid Service in 60 Seconds! Green Seal standards define best practices for products and services in the green marketplace. We Only Use Eco-Friendly Certified Products. Get a service 100% responsible for the environment without any extra fee for you. Deep Cleaning Quality Every Time! All Green Deep Cleaning with Every Service at Competitive Prices! Spring cleaning-style year round while also saving money thanks to our cost-effective prices. I have never in my life rated anything online but this is one thing I had to take the time to rate. Everyone needs to know about this company. HANDS DOWN THE BEST cleaning service out there. They go above and beyond all expectations. Moving furniture, removing couch cushions, taking out my windows to clean both sides… I’m not even kidding. I am blown away every time. It is worth every penny. You guys are the real deal! Thank you!!! Without a doubt, the service was fantastic! They really went above and beyond in my opinion. I hardly recognized the place! They even folded blankets and made the bed (I meant to do that before I left, oops!) which was completely unexpected. The floors were spotless, the windows were nigh invisible, and everything just smelled and looked fantastic. Maid Cleaning Nashville is a great cleaning company. They are very responsive, always accommodating to our needs, and they do a great job. Their cleaning teams are prompt, friendly and professional. I get lots of comments on how beautifully clean my home is. 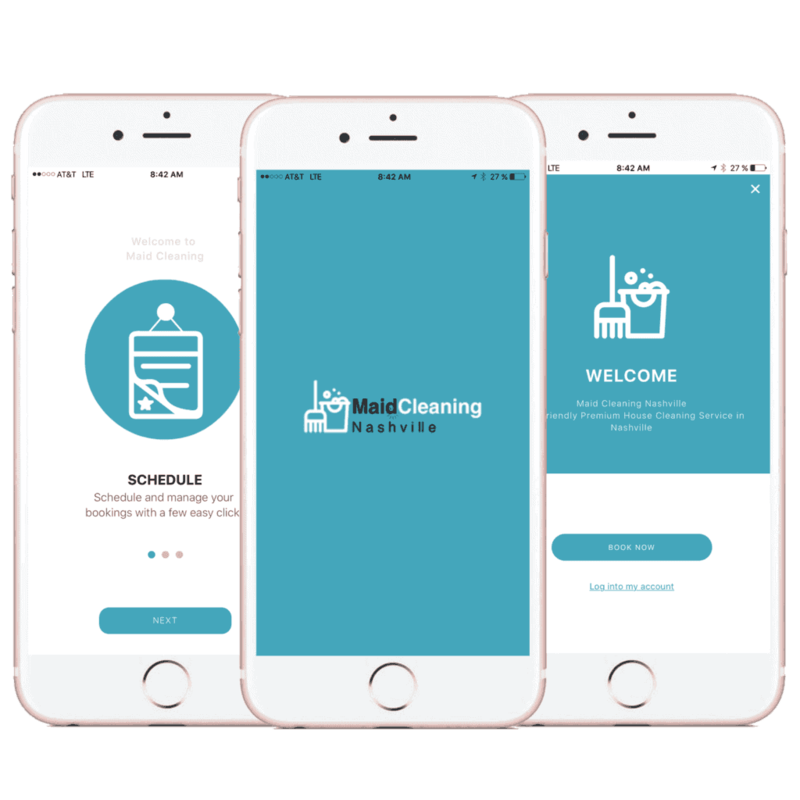 Their app is also an extra convenience to be able to book and track cleanings. 5 stars! 300 Homes being cleaned on a regular basis every month. 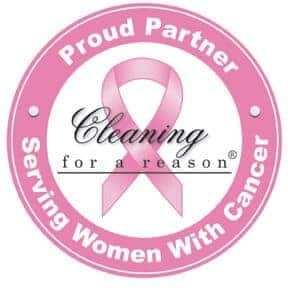 Book online and schedule your home cleaning appointment. We will send you an instant confirmation via email after booking your appointment. An expert and fully equipped cleaning team comes over and cleans your home. Our crew adheres to the highest quality cleaning standards. That alone makes a huge difference. Maid Cleaning Nashville’s professional cleaners are all background checked and have passed in-depth, above average training before setting foot in your home. Maid Cleaning provides high quality, deep cleaning services every time for every task while cleaning your entire home. Maid Cleaning is dedicated to using eco-friendly cleansers and products which have been certified by the Green Seal Organization. Insurance and bonding cover every house, cleaning maid, customer, and care. Rest assured that you are always protected in the event of an accident. Flat-Rate Pricing is the best way to go when you want to get things done efficiently, and there are no hidden fees and hassles. Simple. Easy. Convenient. Maid Cleaning Nashville uses the best equipment for example only HEPA filtration vacuum for a safe, 99.97% allergen-free home. Getting a Maid Service is an Easy Way. Download the app or login using your email on our customer web system to access booking management tools and more. Sit, Relax, and Enjoy your sparkling home! Track your service on Real-Time! Conveniently book and manage Maid Cleaning appointments. Download the free Maid Cleaning App for your iPhone or Android. Quality never falters. The first time deep cleaning is the same every time we come to your home. Each skilled cleaning professional goes above and beyond expectations on every job. They clean where other companies never bother or notice. Maid Cleaning Nashville supports the highest cleaning standards in the industry and accepts any challenge to make your home gleam and sparkle in every corner of every room. Save your own precious time by doing business all online. You can live more quick-witted with the opportunity to concentrate on what’s most vital in your life without being bogged down in cleaning. Safe and simple online booking is accessible 24/7, and your cleaning maid will arrive on time, expertly trained and fully prepared to deep clean your home. Pay securely online with total confidence. The safe, secure Stripe service processes all credit card transactions, also our website uses SSL and HTTPS encryption certification. Experienced house cleaners at Maid Cleaning Nashville have each passed a rigorous background check, along with in-person interviews for assurance on honesty and reliability. Your house, condominium, loft, townhouse, tiny home, mansion or apartment is impeccably cleaned with a 100% Happiness Guarantee! Online communication makes everything easy for you. Send e-mail, engage in Life-chat, text or Twitter! You also receive automatic reminders by e-mail to keep you informed about your house cleaning maid service. The 100% online customer service, booking, paying and communication system is state-of-the-art for convenience any time of day or night. Simply select the size of your residence and service date. Then relax, go to work, spend time with friends, catch a movie, whatever ~ while we deep clean your home. Maid Cleaning Nashville offers distinctive advantages in residential cleaning services. Every cleaning visit is a deep spring cleaning kind of adventure for your house. Everyone on the cleaning staff takes pride in providing ultra-deep cleaning services under a competitive, flat rate. Discounts: Monthly (10% Off) Biweekly (15% Off) and Weekly (20% Off). We Can Help Improve Your Quality of Life! You Can Get a Maid Service in the Following Nashville Areas. 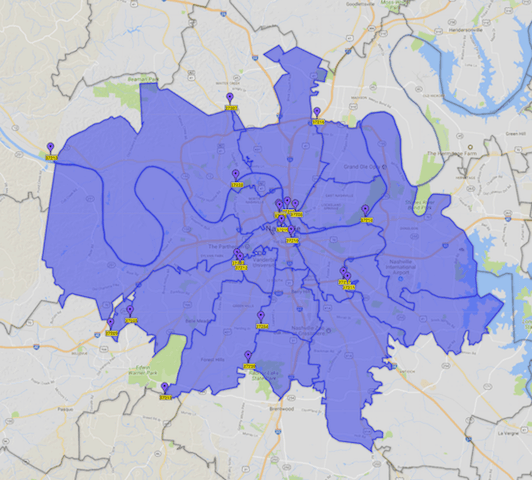 Nashville’s neighborhoods and cities that we serve: Downtown Nashville, East Nashville, West End, Edgehill, Elliston Place, Germantown Nashville, Green Hills, The Gulch, Hillsboro Village, Marathon Village, 12 South, 8th Ave S, Belmont Blvd, Berry Hill, Demonbreun Hill, Melrose, Midtown, Sobro, Sylvan Park, The Nations, Music Row, West Nashville, Nashboro Village, Donelson, Joelton, Vanderbilt and all Nashville Metro Area. I contacted Maid Cleaning Nashville two days before I moved into my new house that has recently been renovated. I was able to book that week and the level of service was amazing! Thank you so much- I was telling Jany on Saturday how you guys are hands down the most thorough and amazing cleaning crew we’d have across the seasons. Your work was great but your staff was also so pleasant and friendly to work with – so thank you. Because our services are the highest quality in deep cleaning every time. Maid Cleaning Nashville offers every single service with deep cleaning quality for a competitive flat rate. If you add up the costs of organizing your cleaning team, selecting the appropriate house cleaners, making sure they are professional cleaners, meeting schedules, directing and coordinating the work, buy Eco-Friendly and useful cleaning products, rent or buy all the cleaning equipment machinery, pay for insurance, transport the house cleaners, etc., it will cost much more than hiring our all-inclusive maid service. Our rates include absolutely everything needed to clean your house in an ecological way with the highest quality in the industry. You know exactly the total price for cleaning your house when you hire us online. Note: If your home has gone more than three months without a professional service or the interior has an unusual amount dirt or messy conditions, an additional fee will apply. A large number of customers come to us frustrated with other house cleaning companies which they hired very cheap, but which did not specify clearly what is going to be cleaned. They were told: “Do not worry; everything will be fine.” However, at the time of the service, they were informed of additional costs that were charged, generating uncertainty among customers about the total cost of house cleaning. At Maid Cleaning Nashville, we do not like ambiguities in services, so we are very clear with our services quoted as a complete package with deep cleaning quality. We specify clearly what we will do in each house cleaning job. Another reason for hiring us is because we show up at the specific appointment time and begin and end cleaning expertly and efficiently. We know how valuable time is for our customers, and we value time as well, so you will not hear ambiguous phrases such as “wait for us in your home, and we will show up sometime in the morning.” When you book your service on our website, you decide between available times which is the best time and day for housekeeping, and we go to your house at your preferred time on the day selected, with a margin of 60 minutes. Our cleaner will call or send a text message 15 to 30 minutes before arriving, so you have time to prepare. Also, before starting the service, we will indicate the end time so that you can organize the day, be gone if you want and return to the house to check everything when we have finished. The margin of error on these times is less than 4%, that is, only 4 out of 100 cleanings we may not meet the schedule, in which case you are notified via telephone. In many cases, this is due to circumstances beyond our control, a breakdown of transport, road accidents that cause unexpected traffic jams, etc. All cleaning products used in our services are Eco-Friendly for the environment, family, pets, plants and home furnishings. Our Eco-Friendly cleaning products are specialized for house use and are not industrial. They are certified by the most important organization in the United States for green house cleaning products, Green Seal Organization. Unlike other non-specialized companies, we do not use the same cloths in different parts of the house that can cause cross contamination in critical areas. For example, the cloths used to clean the bathroom and toilet are different from those used in cooking and food processing areas. We use high quality, microfiber cloths for dusting. We finish our service until you are satisfied with the results for which you contracted. If you are not satisfied for any reason, report it within 24 hours, and we will return to clean the area indicated again, at no additional cost. Because of our experience and methodology, we are very productive. We can perform high-quality cleaning work in a few hours that you or your family would take days to do. In general, our service lasts 3 to 8 hours depending on the tasks to be performed and the size of the home. You can plan your day if you do not want to be in the house with us as we work (although you are welcome to be with us). We offer a complete house cleaning solution that includes all supplies and equipment necessary to clean your house. We include transfers, labor, cleaning materials, Eco-Friendly cleaning products, pick up and remove trash from the house and more. You can forget to organize and supervise several people or buying supplies, equipment, and products for cleaning your house. There’s no contract for a long period, and you can cancel the service without any penalty by logging on to our system within 24 hours of your next appointment and canceling it. If you hire us repeatedly, you can enjoy additional discounts ranging from 10 to 25%. We will clean only when you need it, and you can easily go online to contract with us to show up and clean. If you rehire our services in a new time or hire recurring services, we always try to send the same cleaner who provided the service on the previous occasion. This can be more efficient and effective because the maid knows the detailed requirements for cleaning your space, and you will be satisfied once again. We just cleaned houses, not industrial buildings, offices or local stores. We are specialized in cleaning different elements like furniture, art, kitchens, bathrooms, bookshelves, light fixtures, and furnishings of a residential dwelling. After years of experience, we are used to all kinds of homes for all kinds of dirt. Much other house cleaning business offers services to individuals to “fill gaps in their work schedules” when not cleaning offices or communities. They do not have the equipment or the proper method, supplies or training for house cleaning. There’s are risks of damaging your furniture and household items by using inappropriate products or inadequate machinery. Hundreds of clients rely on us, and one very important sign of satisfaction is returning customers who use our services year after year and recommend us to friends and family. Nearly half of our new customers are recommended by existing clients. We are professionals with extensive experience in the house cleaning business, and our service is intended in the long term: Therefore, it is in our interest that you become very satisfied with our work and hire us again and again as well as recommend Maid Cleaning Nashville to your friends, co-workers, neighbors, and family. Check out the REVIEWS menu tab at the top to read what our happy customers have to say about Maid Cleaning Nashville. To maximize the benefit of having highly skilled, professional house cleaners provide their services, there are a few things to do the day or morning before the maid service personnel arrive on your doorstep. There’s a rumor on the street that a mechanic works more efficiently on a clean engine, and the same might be said of house cleaners working their best in a moderately well-organized environment. Of course, they come to clean, but entering a somewhat tidy home is much more appealing and time-efficient than having to step over and around things, plus move clothes, papers and even trash to do their job. Wobbly or Broken Furniture. Make a note for you and for the house cleaners of any furniture or things they might encounter which are broken, wobbly or in need of repair attention. Should someone move a chair with a wobbly leg that falls off, it’s clear that this piece was already a little defective. Clutter. Professional cleaners are excellent at dusting, wiping, vacuuming and cleaning, and they need to be able to clean without having to relocate tons of things. Walk through every room you expect to be cleaned and pick up clothes, shoes, papers or other stuff from the floor which do not belong there. Give special attention to bathroom vanities and showers, and clear them of excessive little things which may not be contained in a cosmetic or shower organizer. Kitchen. Put away or toss out any loose food or food scraps. Unless washing dishes is part of the cleaning contract, place dirty dishes in the dishwasher or wash, wipe and put them away. The more clear the countertops and area around the sink, the easier it will be for the cleaning people to make them sparkle. Jewelry and money. It is wise whenever someone comes into your home that you have valuable jewelry – or jewelry that looks valuable – in a secure location out of sight. Excellent maid cleaners are trustworthy, and reputable house cleaning companies are bonded and insured. It just makes good sense to eliminate temptation by removing cash and loose change. If you leave a tip, place it on the kitchen counter with a note that clearly says “Tip for House Cleaners” with it. Personal Privacy. There’s no need to have any kind of paperwork visible with account numbers or personal information like bank statements and bills. Even printed emails and correspondence or any kind of document you maybe reviewing should be placed in a drawer or file where it cannot be seen, moved or disturbed. Bedrooms. Leave each bedroom with the bed made or, if you expect it changed, leave fresh linens on the bed. Pick up all clothes off the floors or dresser tops, bed posts or doors so everything can be dusted and/or polished and vacuumed. Pets. For the time the cleaners will be in your home, it’s very nice to have picked up dog and cat dishes and placemats for floor cleaning. Your contract and instructions need to cover every detail of having a pet in the home or secure in the backyard or a crate or room during cleaning. Make it very clear, for example, if the cleaning maids are expected to clean a litter box or wash a dog bed. Fragile items. If you have a glass art collection on display or valuable artifacts from around the world, be very explicit with handling instructions. If you want them to be picked up and dusted or wiped and put back in their places, it would be wise to be present to show the best way to manage these things. Access to home. You can leave a key — try not under the doormat — in an easily described location or give out a lock combination for cleaning day. It’s best case scenario that you are present the first time for a short tour and instructions. Or have a neighbor open the house at the appointed time. Communications. This is key to success for everyone! Be sure to note which rooms you expect to be cleaned and which ones are off limits, as well as flexible tasks like changing the bed, starting laundry, running the dishwasher, petting the cat, dusting and sweeping the porch, and so on. After the first visit, your kind feedback is valued by any professional house cleaner. Plan to work through a few kinks the first couple of visits. House cleaners have superior skills, training and experience, but they are not mind readers and cannot guess at your expectations in every room and every corner. With your sincere prep in having your home ready to be professionally cleaned, you can be assured that the result will be a beautiful, clean, sparkling home for you, your family and guests. Working with local, small businesses in the maid service industry helps turn the giant economic engines that keep the economy rolling and contributes positively to you being more well-organized, healthier and possibly more productive and happy. All of us here are Maid Cleaning Nashville understands you are busy. Whether work or family commitments, it can often feel like there just aren’t enough hours in the day. That’s why we’re here: to help. Our experienced and knowledgeable cleaning staff can work with your schedule to ensure you don’t have to worry about cleaning your home. Maid Cleaning Nashville is Nashville’s favorite house cleaning service. Our flexible team is the best in the business and has been providing unparalleled home cleaning services to Nashville’s neighborhoods for since East Nashville, including Green Hills, Gulch, Brentwood, and Germantown to name just a few. Say goodbye to a messy home once and for all. When you engage with Maid Cleaning Nashville, we’ll send an experienced cleaner right to your door, stocked up and ready for action with the best eco-friendly cleaning products available. Let Maid Cleaning Nashville’s friendly and experienced cleaners take care of the dirty work for you, so you can spend less time worrying about tedious chores and more time doing the things you really love! What makes this service even better? Maid Cleaning Nashville’s rates are incredibly competitive. Our flat-rate mean you don’t have to break the bank to get the help you need around the house. What could be better than our incredibly competitive rates? Our quality and value. We all look for these two things, and they are often a tradeoff for a good price. Not so with Maid Cleaning Nashville. We’ve built our team from the ground up, sourcing the most passionate and dedicated staff, staff that cares as much about the quality of their work as you do. We take no shortcuts, and neither do our staff, so you can rest assured your cleaning needs will be met to the highest standards, and all at competitive rates. Pets? No problem. Our cleaners are very comfortable around pets of all sorts and will make every effort to ensure your furry, feathered, or scaled friends remain safe and well looked after during our cleaning visits. We are happy to accommodate any special instructions you may have regarding our interaction with your pets. Knowledgeable, reliable, and local. Nashville TN is filled with cleaning service franchises from other states. We are your local cleaning service; people who were raised here, and who love this community founded Maid Cleaning Nashville. We know our city like the back of our hand. By supporting Maid Cleaning Nashville, you are also supporting the Nashville economy in perhaps a small, but significant way. In fact, if you’re new to Nashville and are looking for some advice on places to visit or how to navigate your new community, drop us an email! We are more than happy to help. Home cleaning is our specialty, but anything we can do to make your time more enjoyable in the city is our pleasure. We understand you are busy, and may not always be able to contact us to book your cleaning appointment by phone. That’s why we offer a convenient 24/7 online booking service on our website. In as little as 60 seconds you can schedule your cleaning needs entirely online. We look forward to hearing from you! With the fast pace of life today, one area that can often be neglected is that of home cleaning. Hiring a professional house cleaning service is often the go-to solution for those who struggle to find the time in their busy schedules to keep up with day-to-day chores around the house. Here we list some the top reasons to hire professional house cleaners, to help you decide if this is the right option for you. By hiring professional house cleaners, you are engaging with a service that usually has many years of experience, ensuring you top quality cleaning. When you no longer need to worry about cleaning your home, you have more free time to pursue the things you really enjoy. When you hire professional house cleaners, you find time suddenly appears in your schedule that you didn’t have before. Professional house cleaners are very knowledgeable of the cleaning industry and cleaning standards. By hiring reputable professional house cleaners, you can be assured of a quality service. Because they are professionals, your cleaning service will likely be using industry recognized and accepted tools and equipment, giving you the peace of mind that cleaning will be of a high standard. Whatever your specific cleaning needs, professional house cleaners will work with you to create a customized cleaning schedule or plan that fits your particular circumstances. Don’t be afraid to discuss your needs and expectations with your house cleaner, it will ensure you are both comfortable and happy with the results. By engaging professional house cleaners, you can rest assured that they are reputable and take their business seriously. There is a certain peace of mind in leaving your cleaning to a professional. By hiring professional house cleaners you do not need to worry about their ability to use cleaning equipment or chemicals safety. Extensive training is usually provided to professional cleaners, ensure they understand how to use cleaning chemicals safely, and do not cause damage to your home! Whether you are simply too busy between work and family life, or physically unable to maintain a clean home yourself, hiring professional house cleaners may be the solution you need. No more worrying about how you’ll get to this mess or that, you can rest assured all cleaning will get done by your professional house cleaners. If you’re interested in a regular and reliable maid service, many professional house cleaners will give you the option of signing a fixed term or flexible contract, giving you peace of mind your home will always be clean. Whether you are simply too busy or would just like the expertise of hiring a professional, there are many benefits to hiring professional house cleaners. Maid Cleaning Nashville is a local professional house cleaning to the Nashville area that can work with you to create a cleaning plan tailored to your specific needs. Contact us now to discuss your cleaning needs, and how we can help you reap the benefits of working with a professional. There are many house cleaning options available to homeowners and apartment dwellers today. From Do-It-Yourself options to hiring a professional house cleaning service, the e-commerce has evolved to fit any need. With a press of a button, you can request drivers, furniture, and food to your doorstep at a quick and affordable rate. Maid Cleaning Nashville has joined this revolution by working endlessly to offer efficient and affordable maid service for your house. Maid Cleaning Nashville has a simple, sensible, and safe solutions for your cleaning issues. We have saved hundreds of dollars and hours to the citizens of Nashville by offering a reliable and professional service. As a leader in the on-demand cleaning services, Maid Cleaning Nashville offers high-quality services at affordable rates. The end goal is to develop a long-term and trusting relationship with our clients and to assist them in their busy lives. We offer our services for as little as $100 per month. A one bedroom apartment can remain spotless year-round. Our coverage includes bedrooms of all sizes without price fluctuations for larger houses. This makes Maid Cleaning Nashville an ideal and wallet-friendly solution for single and family residents of Nashville City. Nashville is not waiting for innovations to be made with on-demand services. Below are the details regarding our maid service that will encourage you to book your first appointment today. Check out our website for further information and to take advantage of customer service representatives waiting to answer your questions. You are about to clean your house, but you are clueless on where to start. You are unsure of how much time you have to be as thorough as you please. Most homeowners will address the problem areas like the kitchen or bathroom and leave the rest for a more convenient time. A time that will never arrive. The floors, walls, tables and even carpets become unaddressed for long periods of time, collecting dust and dirt. Maid service will address every area of this living space despite its size. These house cleaning will leave problem areas immaculate and will give your floors, walls, mirrors, and doors special attention. Dusting, vacuuming, and mopping are routine cleaning task that any maid service can complete with ease, but they will also clean the inside of appliances such as microwaves and take out the trash. The service is thorough in their cleaning efforts, and don’t leave until their job is complete. If you try hiring Maid Cleaning Nashville just once, we can guarantee your house will be cleaner than ever before. Everyone is busy these days. We understand that you are busy. That is why Maid Cleaning Nashville customizes it’s a service to each specific person, family, or group. Doing it by yourself can be a hassle and time-consuming. You could be spending hours house cleaning and not get the results you are looking for. This is a loss of time and energy on your part. You could have dedicated your time to more enjoyable activities, so you are accomplishing the bare minimum. Save yourself time and money by hiring Maid Cleaning Nashville. We will accommodate your needs. We offer monthly, semi-monthly, weekly, and one-time cleaning services. Our services range from an hour and a half to three hours depending on the size of your house. Maid Cleaning Nashville only employs English-speaking and background checked professional cleaners. These cleaners will provide complete communication to you on every facet of their cleaning efforts. Having the ability to work with a responsive partner will allow you the power to control your schedule and plan out your year accordingly. Allowing Maid Cleaning Nashville to clean your house while you are out is equivalent to allowing Windows to install updates to your computer while you are checking your emails. Do you have the correct tools for the job? Maid Cleaning Nashville will arrive equipped with cleaning supplies and tools that are fundamental to your cleaning tasks. We use eco-friendly cleaning solutions and can address any problem area without assistance. If there are special tasks required such as cleaning wood or the use of specific supplies you would prefer, please alert the professional cleaner beforehand. This will enable the cleaner to arrive fully prepared for the job ahead. If you just moved into a new house and are short on supplies, Maid Cleaning Nashville is the perfect solution. If you opt to have maid service benefit your life repeatedly, then you can discard all old cleaning supplies to make room for other materials. Anxiety is often followed by allowing strangers into your house. Maid Cleaning Nashville can address this concern in a manner that separates us as a leader in the industry. All of Maid Cleaning Nashville professionals are experienced, background checked English-speaking cleaners. All cleanings booked through Maid Cleaning Nashville are bonded and insured. We have worked endlessly to establish a gold standard in reliability to our clients, so they never have to worry about anything other than what is for dinner. Don’t just take our word for it, visit our website and read our five-star reviews. Maid Cleaning Nashville strives to improve the quality of your day by removing the mundane task of cleaning out of the equation. We also pride ourselves on saving you time and money. We are tested and proved experts that claim all types of Nashville City’s citizens as clients. Try our service today to see for yourself. Even if maid services are not for you, we promise you will walk away with a valuable insight of our company. In the jungle on Nashville City, many luxuries are just out of reach. Allow Maid Cleaning Nashville to show you how our professional service is a luxury you can afford. When it comes to home cleaning, it’s safe to say none of us really look forward to this time-consuming chore. If you’ve ever considered hiring a professional house cleaning service, here are some things to consider. Firstly, cleaning services are not generally cheap. A quick search of typical services reveals consumers typically pay in the vicinity of $120 to $150 for biweekly cleaning according to Angie’s list data, with similar ranges observed on HomeAdvisor.com, and Craigslist.com. Are the services worth it? It’s pretty clear it would be great to have a professional house cleaning help with the chore of cleaning, but how do we determine if it’s worth it overall? How much is reduced stress worth to you? There can be many reasons for cleaning and chore related stress. Perhaps you have in-laws that constantly judge your home and cleanliness, not understanding the demands of work and family on your time. Maybe your spouse is constantly complaining about your housekeeping not meeting their neat-freak expectations. Both of these scenarios can create stress for you, and put added pressure on your relationships. Perhaps you also put pressure on yourself about the state of your home environment. Not living up to our own expectations for ourselves can be an immense source of damaging stress. Many of us spend many hours worrying about the time we do spend cleaning or feeling guilty for not spending enough time cleaning or even worrying about what visitors to our homes are thinking. It’s just not healthy. Whether it’s brought on by an impending visit from family members, or your own self-induced stress, hiring professional house cleaners can help reduce both. Perhaps you don’t spend hours stressing about your cleaning, or lack thereof; you simply don’t like doing it. Who would blame you? It’s not often any of us would choose a thorough kitchen scrubbing session over a catch up with friends or trip to the beach (or ski fields for that matter). Hiring a professional house cleaning to help out with the cleaning can be a relief for many of us who simply don’t like doing the big stuff, or just find ourselves inefficient at it. Opportunity cost is defined as the cost to deciding on one alternative over another. When we think about house cleaning, how much does it cost you to spend your time cleaning, verse doing something else? One way to look at it is to think about your hourly rate. Say you make $100/hour, and it takes you 5 hours to give your home a thorough cleaning. This has effectively cost you $500. Now, if you hire a professional that can do the job just as well, or perhaps better in only 2 hours for $150, is that worth it for you? By the same token, if you are only making $10/hour, your 5hour cleaning session has cost you only $50, so it may not make financial sense to you to hire the cleaner for $150, even though you might like the extra free time. Opportunity cost is something that each of us needs to work out for our particular circumstances. There is no right or wrong answer on this one! For professional house cleaners to be most effective, and for you to get the most benefit for your money, you need to understand that there is still some effort required on your part. There’s not much point having a cleaning crew come to your house for two hours to vacuum, scrub and dust if you then leave clothing or other items all over the floor and the counter tops full of dirty dishes. Their time will be spent either cleaning up these extra messes and not focusing on the big stuff, or they will simply vacuum or mop around the piles of debris, meaning the job is not as thorough as it could have been. You also want to make sure that any pets you may have will not be impeded the cleaning service. If your dog has a tendency to chase the cleaning crew around the house every time they visit, this is a valuable time they loose from cleaning your house. A pet daycare could be an option for cleaning days, or scheduling the cleaning for when Fido is at the groomers! It’s also very important to have an open dialogue with your professional house cleaning. Are there rooms you don’t want them in? Are there cleaning products you don’t want them using for allergy or environmental reasons? Having an open dialogue with your professional house cleaners will ensure you get the best service for your needs. It may sound rather obvious at first, but it’s important to think about which day of the week you want your professional house cleaners to come over. Are you the kind of person who likes to start the weekend off with a clean home? Fridays might be the day for you. Others prefer to start their week on a clean note, opting for a Monday session. Professional house cleaning will work with you to determine your exact needs, and what schedule will work best for your priorities and lifestyle. There really are many factors in determining whether or not engaging professional house cleaning will be worth it for you. There are many benefits and many flexible options to help you customize the service to your exact needs. If you find yourself regretting the money you’re spending within hours or days of the cleaning service (though we recommend seeing how you feel after the second or third time at least), perhaps it’s worth really thinking about how beneficial the service is for you. Many people do find professional house cleaners a great benefit overall, however, not only for the cleaner homes but for more free time and peace of mind as well. Time is a precious commodity, perhaps more so today than ever before. To help find more time for the important things in life, more and more households now turn to professional maid services for help with house cleaning. But where to start? With so many choices available, from large franchises to family-owned local businesses, or perhaps even an individual working alone, here are some key considerations to help you chose the right service for your individual needs. Always meet with the prospective service in person, and don’t be afraid to ask how they set their rates. In fact, the cleaning company or individual should be happy to explain their rate system to you. It’s important to understand how you will be charged, and ensure you are comfortable with the arrangement. This will help avoid any confusion or misunderstanding down the road. With so many options for cleaning services available, it’s useful to weigh the pros and cons to help chose the best option for your circumstances. Will an individual or company suit your needs? Each option has its own benefits and potential drawbacks. Sometimes hiring an individual may actually be more cost effective depending on your situation, and even allow more customization to suit your individual needs. However, this option could also result in a service that is less responsive, and can leave you without service is your provider does not show up for work one day. Alternatively, a company that specializes in house cleaning might be slightly more costly, however, may provide other benefits such as flexible scheduling and alternate cleaning teams to ensure you are never left without your service. Once you have a few options narrowed down, call or email the service providers to schedule and in-home estimate. Not only will this give you a chance to meet with the service provider, but you can also assess their responsiveness to your inquiring. Before meeting with the provider, make a list of possible questions to cover and also make note of any special requirements you might have. This will help ensure the estimate you discuss is as accurate as possible, and the service you engage will meet all your housecleaning needs. Here we detail 11 key questions to ask the potential cleaning provider to help get you started. Get the business to give you an estimate on how long it will take to clean your home. Cleaning services should give you a flat rate for each subsequent visit depending on the condition of your property, needs, and how often you will need the service. Putting a cap on the number of hours the service will spend in your home is another way to avoid unexpected costs. If the company you are talking to is a reputable one, it is usually common practice for them to conduct employee background checks. However, when you hire an independent cleaner, you will likely be responsible for performing any background screenings. Background checks are important, as they can help provide you with a piece of mind and ensure the safety of both you, your family, and your home. You may also like to confirm with the provider if the same person will be conducting your cleaning session each time, or if they will send a different person for each visit. Do you carry insurance, and are you bonded? A reputable company should carry liability insurance and be bonded. They should also have policies in place for any event of accidental damage to your home or belongings. This is an important consideration as if the service does not carry workers compensation, you as the homeowner could potentially be liable. Reputable companies who have their staff on payroll will have worker’s compensation in the event that an employee gets injured. Independent maid services or consultants may not be covered, so it’s important to confirm these details. Will you provide all equipment and cleaning supplies? This is an important question, as the answer will vary company-to-company, contractor-to-contractor. Make sure you understand what system the cleaning company uses. If for some reason you are not completely happy with provided cleaning supplies, discuss with them the option of providing your own supplies for the cleaner to use. Companies and cleaning contractors may use both conventional and/or environmentally friendly products. You may wish to clarify what kind of products your chosen service provider uses. A reputable business will be open to your suggestions and feedback. Ask them if they have a formal satisfaction guarantee so you have a formal means by which to address any issues that may arise. Open communication with your maid service provider is important. Asking this question will help you determine your ability to communicate freely with the cleaning service provider. How does home access work? Choose the option which will suit both you and your provider best. I have a pet in the house, what should I do? Pets are a very common part of many families. Having a pet does not need to be an issue when considering cleaning services for your home, however, there are a few things you can do to make sure things go smoothly. It’s a good idea to have your cleaner and pet meet before your first scheduled cleaning visit. This will help build some familiarity. You could also crate the animal when you know the maid service will be coming to your home, for both their safety and the safety of your pet. Another option, if climate and your pet’s personality permit, is to have the animal left in a secure backyard on cleaning days. You many also want to ask if there are any additional fees for having a pet in the household. This can vary dramatically among cleaning companies, so it’s good to question to clarify. So what exactly will be included? Which services you are interested in will usually affect the price of your service. Make sure to clarify what will be included to avoid any confusion down the road. This question can help you identify a maid service with experience. The number of years in business and also how long employees have been with the company can help give you confidence in the organization, and peace of mind. Can you put all this in writing? Getting the information you have discussed and agreed to in writing is an important step when engaging a cleaning service. You are, after all, letting them into your home. By having the details put on paper, you can help avoid any miscommunications and misunderstandings later on down the road. In a world ever more conscious of the effects of harmful chemicals on both our health and the environment, more and more households are turning to using green cleaning services when engaging with a provider. With many options available today for those thinking of hiring a green cleaning provider, we’ve compiled a few tips to help you find the right services for your home. Green service providers typically use natural, sustainable products that are not harmful to the home occupants health. It’s also worth considering if the service provider uses color-coded cloths and mop heads. This option not only protects clients from cross contamination but also the staff performing the service. Energy Star-certified equipment will be a given for Environmentally responsible maid services. Energy Star-certified equipment like high-filtration vacuum cleaners uses less electricity than conventional equipment, which may also result in reduced costs to your energy bills. A conscientious company may also you equipment designed to reduce allergens in the air, such as equipment endorsed by the American Lung Association. When a provider is particularly conscientious of the environmental impact of their products and equipment, they will usually train their staff in the responsible use of natural, concentrated chemicals. These companies may also ensure their staff follows specific protocols for handling any waste they may encounter, such requiring them to recycle items where possible. As advances in science and technology move forward in the field of green products and equipment, responsible cleaning companies will ensure they remain up to date with the latest products. A conscientious green cleaning company will let you know up front of any additional costs you may expect by opting for green equipment and materials. They will also be able to give you an idea of what possible savings you may receive from choosing this path. The cost to choosing green products and equipment can vary, many service providers can offer pricing comparable to average housecleaning businesses. In some cases, this option can cost you up to $10 per hour more, however this may change as technology gives us more and more options going forward. When it comes to savings, it’s important to remember that potential savings from using green cleaning services can come indirectly. For example, in a business setting, staff may experience less sick instances, which may result in higher productivity. Hiring a green cleaning company is very similar to engaging with a regular service provider. Be sure to check out the licenses the company holds, and ask the usual questions. When it comes to green cleaning, you may find that companies with flat rates may actually offer better deals than those that charge by the hour. Clutter and dirt can easily consume a home or business within the Nashville area. Our hot summers allow dust to settle everywhere. The dust begins to irritate allergies and homes develop a dirty overcast. The Nashville winters aren’t any better as they produce so much moisture within the home that entryways become dirty and slippery. Cleaning needs are often problematic and a nuisance to a busy lifestyle, but left untreated it can become hazardous to the health of the inhabitants. Nashville City is home to a throng of maid services. From corporate companies following national guidelines to private businesses that have been established for years. The choice of which maid service to use can become overwhelming. It becomes confusing for many home and business owners as to which house cleaning services are trustworthy and perfect for a long-term relationship. With so many choices available, how do you find which maid service is the best Nashville has to offer? There are many factors to consider when selecting a professional service for your home or business. We have developed a series of questions you should ask yourself to help narrow down the selection. This question is to help narrow your professional house cleaning needs. Decide if you are wishing to establish an on-going relationship with your maid service. There are many services that are set up to assist your home or business for a one-time visit. Other cleaning companies take pride in establishing themselves in a long-term business relationship with their clients. If your goals are centered on spring cleaning, cleaning an unused structure or attic, or just a fresh cleaning of one room, then you should concentrate your efforts in selecting a house cleaning service specializing in one-time visits. This maid service company will arrive, meet your cleaning needs, and then leave. This will leave all maintenance matters afterward up to you. If you are a person often overwhelmed by clutter and dirt, then you may opt for a different option. If you own an office, storefront, or a large home too big to maintain on your own, then you will want to seek out maid service that caters to a returning set schedule. Small offices find they need professional maid service completed on the weekends. Those with an average sized home are content in having a maid service come out once a month. The frequency in which you need your house cleaning services completed is a factor you need to decide on. Most residents and business owners in Nashville have opted to have a professional maid service visit their homes biweekly or sweep their office on a daily basis. What is Your Budget for House Cleaning? Not every professional maid service in Nashville City offer cheap and competitive rates. You will get more out of your house cleaning the more expensive the schedule is. Conduct a thorough pricing research to better prepare you for the type of services you want. Take the time to sit down and create a budget. It does not matter if you are the head of your household or the manager of a large office, but the person making the final decision should be aware of where your financial standing. Professional maid service often carry extra charges and different ways to save. Make sure to read the fine print on any contracts you may consider signing. Let’s use house cleaning company A and house cleaning company B as an example for pricing research. Company A will not charge you for any of the gas it takes in transportation to your facility, but it will charge you $30 an hour to clean your area. This company will also charge for any special cleaning that may be necessary such as stain treatments. Company B only charges $35 an hour for their professional maid service, but charge $1 for every mile they have to travel to your location. This added travel expense could end up costing you much more than what Company A was offering. It just depends on the type of the house cleaning project and the length in which it will take to complete. If you are someone looking to establish a long-term business relationship with a maid service, then your will be able to obtain a good deal through a contract. Many long-term maid services are eager to obtain new patronage to eliminate further job loss for their cleaners. Ask if these services are offering any special rates for opting to use their services frequently. Ensure that you compile a complete reference check on any maid service in Nashville. Seek out well recommended and highly trusted maid service in your Nashville City area. Eliminate out services that are not within close distance to your location. What Are the House Cleaning Service References? How do you research the quality of the house cleaning you are considering? A good way is to start by tracking down others that have used the maid service and get their honest opinion. Most people in Nashville City discover companies through word of mouth and friends. The internet offers a great way to check the references of any service. There are many review oriented websites available to research Nashville City’s maid service. Make sure to read the review carefully and seek out those that concentrate on those that point out the good and bad of the company. Reviews based on negative comments only should be observed but not relied on as the service they did not like may be what you are searching for. For example, a reviewer may not have liked the services all natural cleaner, but you wish to utilize a company using all-natural methods for a deeper clean. What Factors Are You Seeking Out of Your Cleaning Service? It is time to take into account your personal preferences on cleaning. Many people are concerned with the chemicals used by maid service. Recently, a lot of focus has been placed on green house cleaning, especially in Nashville City, as many people are searching for eco-friendly methods to obtaining a clean area. The best part about house cleaning in Nashville is that there are so many to choose from. Each company accommodates its customers in a different way. If you are seeking a service that only uses one brand of products, then this will be present in their advertisements. If your home is to follow strict religious guidelines, then you will need to find a house cleaning company that can ensure your needs are met. This may be by keeping animal based products out of contact with your home. Some maid services are even willing to perform specific rituals if needed. If you are seeking culturally sensitive services, then you should ask around your neighborhood as they tend to be smaller and family run. These companies will also focus their advertising to a particular area or community. Having a Nashville City maid service take over your cleaning will remove a large weight from your shoulders. You will have more time for family, work, and personal errands. However, finding the right services out of hundreds can be a chore. Starting your research today will enable you to find the perfect cleaning service for you. Start by calculating the scope of your project and the length of time it will need to be completed. Draw up your budget and seek out those companies that fit your financial needs. Once you have narrowed down the list, start checking those references and don’t forget to research your personal preferences. Before you know it, you will have found the perfect cleaning service for your home or business. Your house or office will be cleaner and healthier than ever making the effort of all your research worth it. Hopefully, this guide has assisted you in finding the perfect maid service for your needs. If you are still searching, just remember that there is a maid service that meets your preferences out there waiting for your business, we also offer house cleaning Nashville in Madison and Brentwood, check our prices. Many people are using maid services to keep their house welcoming and neat. Placing your trust in a cleaning service is a great way to provide a more comfortable home, but you need to ensure that you hire the right maid service. It is always wise to research the service you are thinking of using before allowing them into your house. Learning about professional services will make it easier in finding the right company to fit your needs. Cleaning your house takes a lot of time and energy out of an already busy schedule. If you have a full-time job or children to care for, time is not your friend on keeping things clean. If you do have the time, then you may not have the energy to give your house the thorough clean it truly needs. By relying on a maid service you will be giving yourself more free time to focus on more important tasks or allowing time to relax. Professional cleaning services are able to give your house the thorough cleaning it requires the use of special products and equipment. They offer many years of experience and training to have your house looking flawless. Also, will provide amazing results in a fraction of the time and effort it would have taken you on your own. Coming home to a house cleaning after work is a perfect way to end the day. This is especially true if you have children and are often greeted with a mess at the door. they will provide less stress and give you the time you deserve to relax after work instead of spending more energy on cleaning. Cleaning companies are able to perform advanced cleaning techniques that will ensure that floors, furniture, and décor last longer. Many maid services will wax hardwood floors and shampoo carpets. The use of services such as this will save money in the long-term by eliminating floor replacement and wear and tear. Not only are you saving money by hiring a maid service, but you are improving the quality of the air in your house. Clean air makes a huge impact on those that suffer from asthma, allergies, or other respiratory conditions. Cleaning service is able to vacuum, shampoo, dust, and scrub away dust and dirt particles enabling a cleaner environment. These maid services will also reduce the risks of children developing asthma or allergies. Having your house cleaned by a professional is worth every penny you spend on it. However, you can overspend on these services if you’re not careful. Some business may be more expensive than others. A typical maid service located in a well-off neighborhood will charge higher than others. House Cleaning companies that are well established in the community with solid reputation are also prone to charging more for their services. Don’t hesitate on spending a little more for cleaning quality with a company that has properly trained and experienced cleaners. The most affordable services within your area may not clean properly or may hire unqualified people. The temptation to save on this expense is natural, but it is important to remember that you will get premium results with a more reliable company. Many people feel they don’t need to spend the money on maid service for their home as they can maintain it themselves. This fact is very true, but the home may not be as cleaned as it possibly could be with a professional cleaner. A maid service provides specialized training to their employees and uses unique equipment to give your house a thorough cleaning. The same result cannot be given with over-the-counter cleaning solutions. The main advantage to hiring a maid service is eliminating that time and energy you are giving to cleaning. This allows you get more work done, spend time with your family, remain active in specific hobbies, or it can just give you time to relax. To have the time to do more of the things that you love is worth any price on professional maid service. Try not to pay for services you really don’t need. Don’t allow maid services to charge you for unnecessary services. For example, you may choose a company that offers specialized packages that include services not necessary to your needs. Go over all of the services offered and eliminate anything that is not wanted or needed. A good professional service will allow you a personalized formula for your cleaning solutions. Take the time to seek out a reliable service. You will not have a good experience with professional maid services if you choose the first affordable company you come across. You need to pick a maid company that provides high-quality services, values your business, and properly trains their cleaners. Ask around with friends and neighbors that use professional cleaning services. They can tell you about services they have used in the past and present. It is a great way to find a reliable service in your area. If no one can recommend a quality maid service to you, then turn to the internet to do some deep research. A reliable house cleaning business will have an established online presence. Not all small businesses operate their own websites, but they should have a social media page or business directory. Business directories are a great way to obtain a list of professional cleaners in your area. Call the companies to get an idea of pricing and services offered. There are many websites available that provide solid reviews and ratings on small businesses. Seek out these reviews or check with social media to see how reliable a maid service may be. You will get a much better idea of what to expect from a specific business by researching its reviews. There are some red flags to look out for while researching professional service. Do not select a maid service that has made billing errors in its past as you need to trust your cleaners to not make mistakes. Any reviews stating an employee or cleaner was rude to a client is another big no-no. Also, keep an eye on reviews mentioning that employees are hired without background checks or are not properly trained. Any reviews stating these facts will be a sign of a low-quality service. Take time to call different maid business for pricing quotes. There are house cleaning companies that offer fixed prices to clients and others that calculate the cost based on cleaning needs and size. You may be able to find a lower rate if you ask for a more personalized plan instead of working with fixed packages. Ask questions about their services while inquiring about the prices. Find out who will be inside your house, if they are alone or accompanied by a manager if they have cleared a background check, and if they have been trained. Professional cleaners may provide services while you are out of the house and you need to be comfortable having this person there. Ask about comprehensive insurance policies as this will cover any damages done by a cleaner in your house. Most cleaning services know how to complete their job efficiently without causing damage, but it is a safety precaution for a unique situation. Cleaning companies that offer comprehensive insurance policies is a good sign that the company is reliable. Maid services are expensive so you will want to get the most out of the services that you can. If you decide to spend a higher amount for a better quality maid service, then you want to make sure the cleaners do a good and thorough job. Communicate clearly with the business on what your expectations are for their services. Let the company know if you have special needs or preferences. There may be limits on what a company can provide, but don’t hesitate to ask for additional services if needed. Any service that values their clients will work to accommodate your requests. Ask the employees to complete a quality check before leaving your home. This procedure should include checking the different areas that were cleaned to ensure nothing was missed. If your maid service does not require their cleaners to perform a quality check before leaving, then you may need to consider a new company that takes pride in quality maid service. Inspect your house every now and again to ensure it is as clean as it should be. Don’t hesitate to contact your house cleaning company with feedback or ask your cleaners to do a few jobs differently. If you are satisfied with your service, then let them know what a good job they are doing. Check to see if there are additional services offered by your house. Most companies will provide more than just vacuuming, mopping, and dusting. Some services will provide additional services such as carpet shampooing and restoration, backyard cleaning, hardwood waxing, or furniture restoration services. Consider using these additional services to help maintain the quality of cleanliness in your home. If you are already a long-term client of your maid service, then you may qualify for a discount. Using a residential cleaning service is the best way to keep your house clean without using up extra time and energy. The right professional cleaners will do more than clean your house, they will improve the quality of your environment and life. Take the time to discover more about maid services in your area that will meet your house cleaning needs.